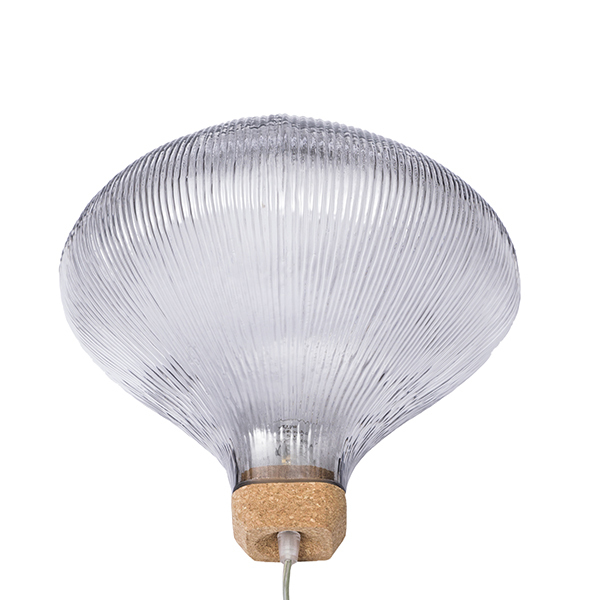 Petite Friture’s Tidelight lamp features a beautiful glass shade that resembles headlights and lighthouse lenses. 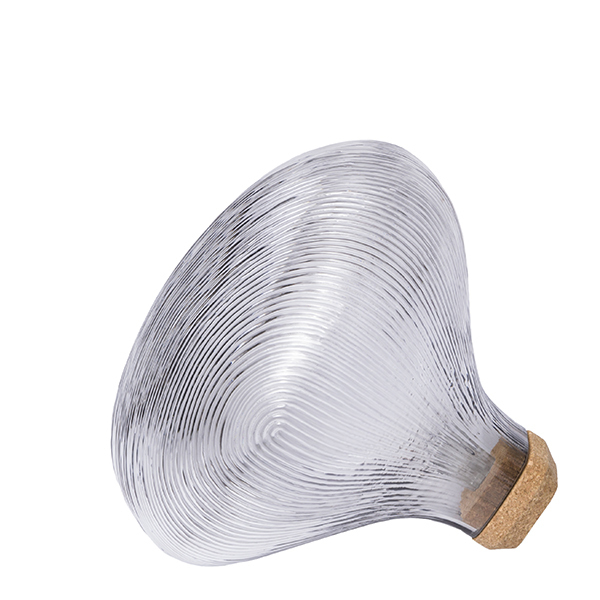 Designer Pierre Favresse was inspired by the techniques and codes used in the car industry, which is visible in the light’s intriguing shape and texture. 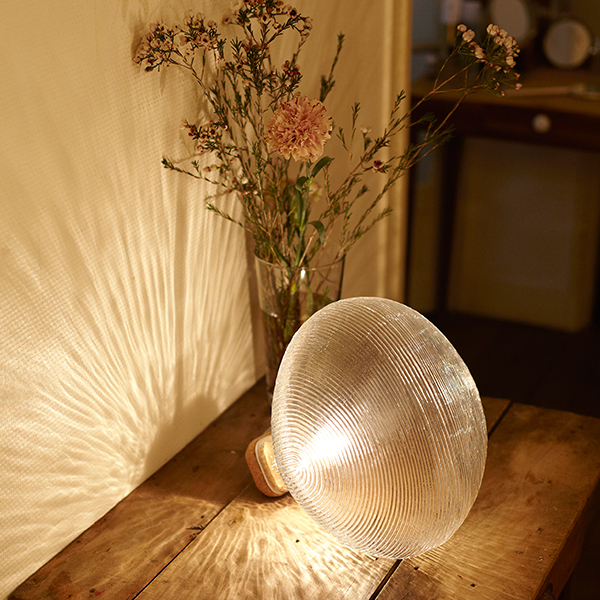 Tidelight creates a warm and diffused light and can be used as both table and floor light. The rectangular cork base keeps the light stable. Pierre Favresse (b. 1979) is a French designer who has studied cabinet making at École Boulle and design at École nationale supérieure des Arts Décoratifs in Paris. 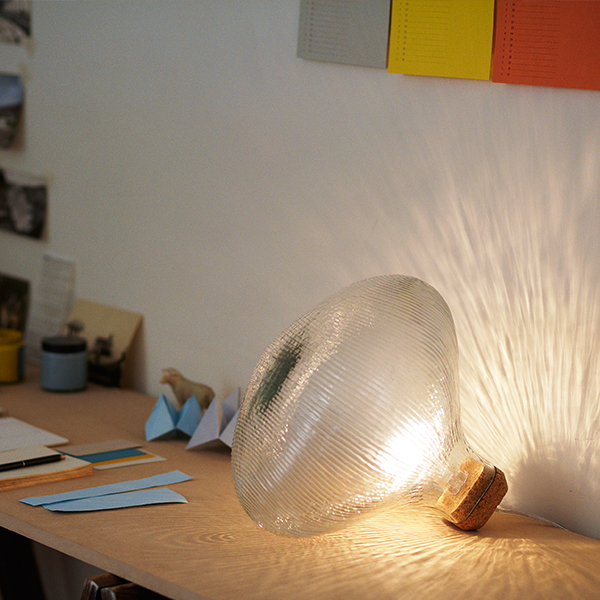 He founded his own design studio in 2010 after working first for designer Mathieu Lehanneur. Favresse has designed products for brands such as Petite Friture, Specimen Edition, Super-Ette, La Chance and Lignet Roset. Currently, he is the head of design at Habitat International.